I was lucky enough to receive tickets to The Grape and Grain Festival in Bristol last weekend. It was brilliant. 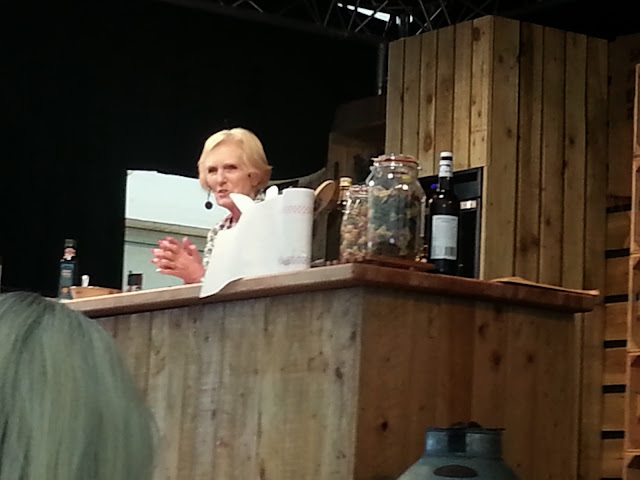 First, there was a champagne breakfast, attended by the lovely Mary Berry and Lucy Young. It was a really relaxed atmosphere and Mary and her little family of helpers were really friendly and made a real effort to speak to everyone at the event. Walking around all the tables and signing books. We really enjoyed the event and I even discovered something I never knew before. 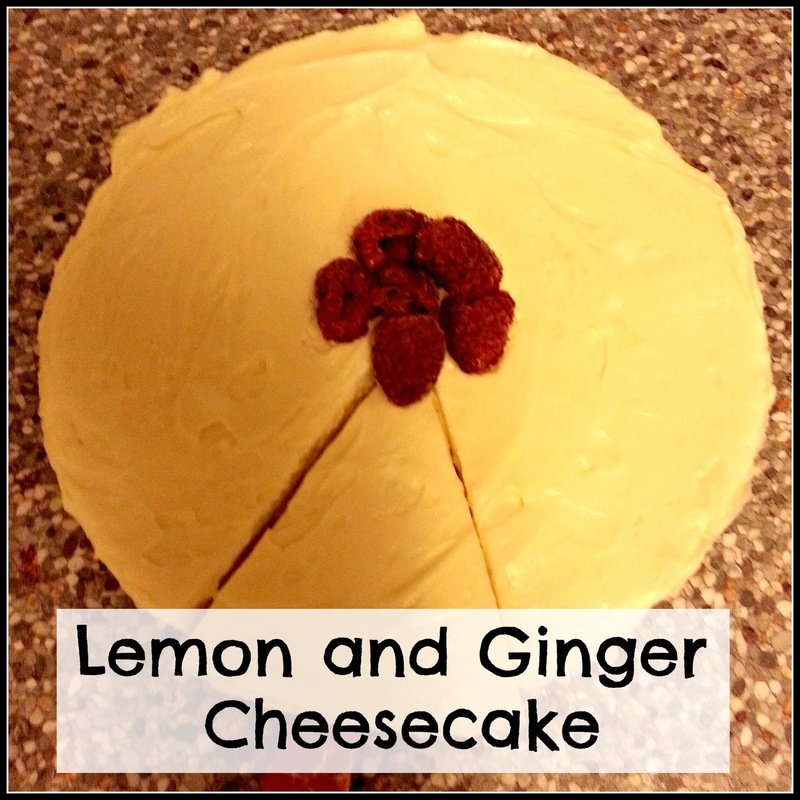 Cheesecake is actually really easy to make! Read on below for the recipe. Next, there was a cookery demonstration by Mary and we learned how to make two savoury dishes, Chicken with a Pesto topping, which I don't like, so I zoned out a bit for that one, and a Salmon en Croute, which looked delicious and not too fussy to make. I was fascinated by the clever camera work, there was a stage with a kitchen area and an audience of, I guess, around 50 people, so it felt really intimate and unassuming. There was a screen above the stage, which was fed by a camera that focussed on the work area, so you could see in detail all the preparation that went into the dish, as well as listening to Mary's hilarious anecdotes, involving Judith Chalmers and an unfortunate flood during live filming in the eighties! 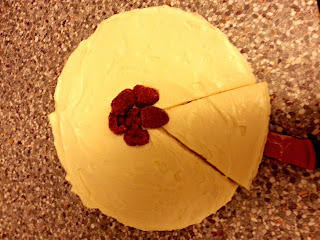 For me, though, the highlight of the whole event had to be the revelation that cheesecake is ridiculously easy to make! Oh yes, just four ingredients and some biscuit-bashing and you can have yourself a very impressive Lemon and Ginger Cheesecake that would fool even the fussiest critic into thinking you'd put some real effort in! I rushed home to make this and the results were pretty impressive! The recipe is available in the book; Cook Up a Feast, by Mary Berry and Lucy Young, which features a wide range of different recipes and is priced at £14.99. You can also find it on Mary Berry's Website, I thought it would make an excellent choice for teaching to students or baking with young children, so I will add it to our Easy Recipe files too. Crush the biscuits by sealing them in a plastic food bag and bashing with a wooden rolling pin. Add the butter, mix well and press into the base of the cake tin. Beat the cheese, lemon curd and juice until smooth and spoon onto the base, levelling the top. Chill in the fridge for at least four hours and up to 24 hours. To serve, remove from tin and decorate as you like. I left my cheesecake on the base to serve, as it's easier if it's just for family and you don't have to look proper! I also doubled the recipe for the base, as I like a chunky base, but it did mean the topping filled the tin to the very top! I am staggered at how easy it was, and even my husband loved it! 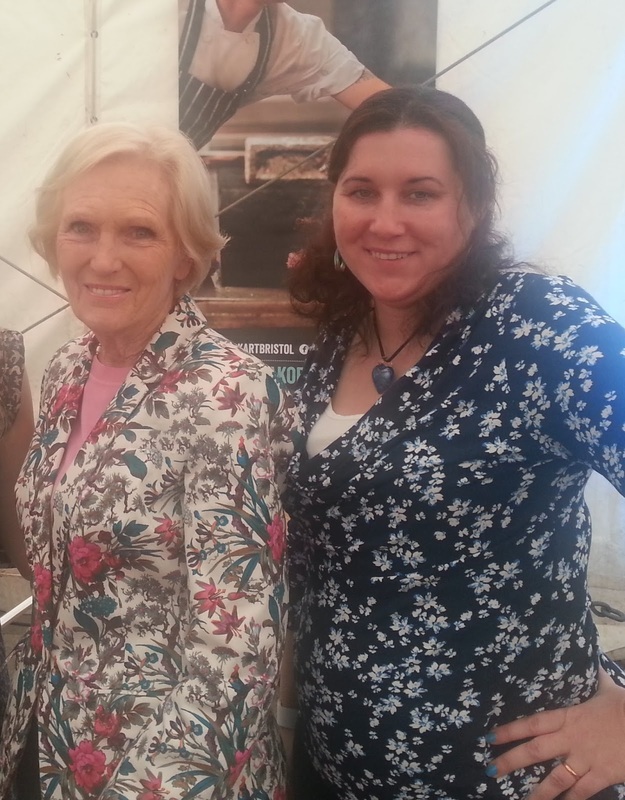 Ooh I am a tad jealous, Mary berry is amazing, she is just so normal and makes cooking come across as a normal event, not overly fussy. the chicken pesto one would appeal to me greatly. But oh I fancy making the lemon cheesecake, my fave flavour of all and I want some now!! I might swap the biscuit to digestive but I am definitely inspired to make it!! 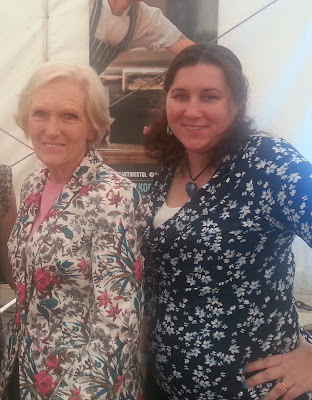 I absolutely love Cheese cake and Mary Berry! Your so Lucky - I wish I could have been there and seen her in the flesh. Telling from your photos it looks like you had a very eventful day. I also love how your cheesecake turned out. I would so love to try this recipe for myself.